For two weeks in Pyeongchang, the Winter Olympics have mostly served as a respite from the daily grind of politics back in the United States. For at least one Team USA athlete, that changed leading up to and during the closing ceremony. Gus Kenworthy, a freestyle skier from Colorado who finished 12th in the ski slopestyle event, fired off two pointed tweets Sunday night in South Korea. After the Olympic Athletes from Russia beat Germany in the men's hockey gold medal game, Kenworthy retweeted a Los Angeles Times story with the comment, "Russia's biggest win since the 2016 US Presidential election!" Hours later, after the opening ceremony had begun, he tweeted a photo of Team USA athletes preparing to enter the stadium, with this message: "So proud of all these people! Everybody here has worked so hard to make it to the Olympics and have the opportunity to walk in the closing ceremony! Well... Everyone except Ivanka. Honestly, tf is she doing here??" 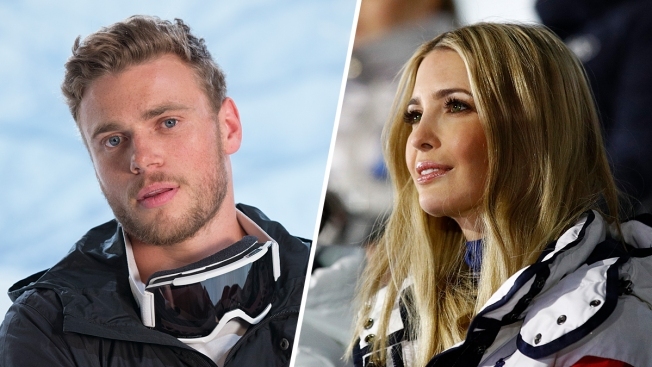 Kenworthy, who won silver in slopestyle four years ago in Sochi, was referring to Ivanka Trump, daughter of President Donald Trump. Ivanka Trump, now a senior advisor to the president, is leading the official U.S. government delegation to the closing ceremony. Before attending the closing ceremony, Trump watched Team USA win the gold medal in the men's curling competition. She also watched the bobsled finals and the mass start speedspkating. “I’m so excited to be here," Ivanka Trump said in a statement to reporters. "It’s just so incredibly inspiring. It’s been an amazing couple of days, and such an honor and privilege to be here with our allies in South Korea and celebrate all that we’ve accomplished as a culture, a society economically and, of course, in sport."